The LASER story opens with a team of top scientists warning us of an imminent threat – climate change – that will cause widespread disruption and human suffering if left unmitigated. Utilizing the groundbreaking work of Dr. Alex Hall and the UCLA Institute for the Environment and Sustainability, the LASER maps illustrate what climate change is going to look like in the Los Angeles region in just a few decades. 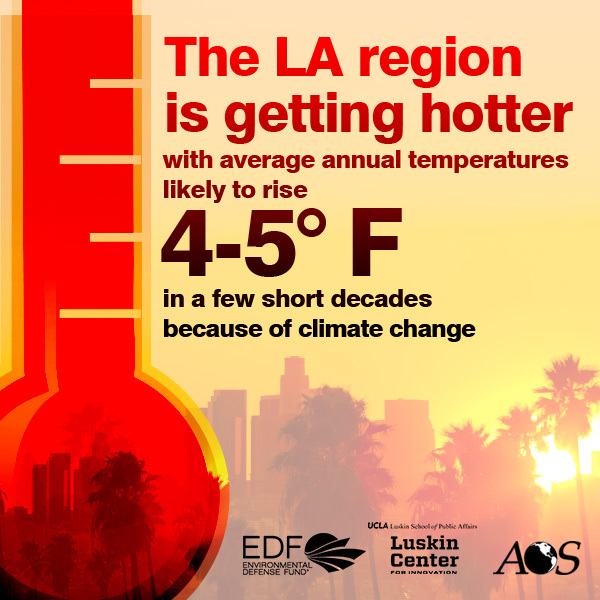 By mid-century, the region will experience a tripling in the number of extreme heat days in the downtown and urban core, and a quadrupling in the number of extreme heat days in the valleys and at high elevations. The plot thickens as we get a clearer sense of the communities that are most at risk – those already dealing with bad air quality, lack of adequate green space and tree canopy, poor access to public transit, and other challenges like high unemployment levels, poverty and public health hazards. This is the part of the story where we could give up in the face of seemingly impossible odds…but that’s not how we roll in Los Angeles. driving climate change, building community resiliency through investments in energy efficiency and renewable energy, and seizing opportunities for economic growth that reduce vulnerability. 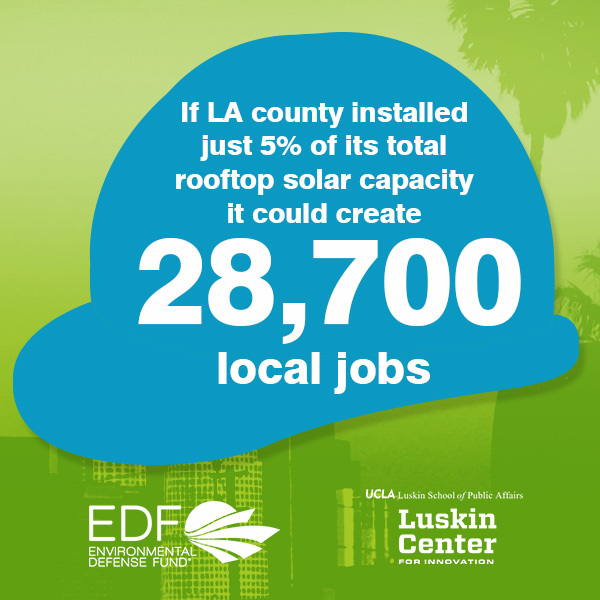 Nearly 29,000 local jobs in solar panel installation could be created if merely 5% of the rooftop solar energy generating potential in LA County was realized. If LA rooftops were able to capture that 5% of solar capacity they would reduce carbon dioxide emissions by 1.25 million tons, equivalent to taking 250,000 cars off the road annually. 80% of all buildings in LA County have elevated potential for cost-saving, energy efficiency investments. If this were actually a Hollywood blockbuster, we would probably cut to a final, climactic showdown and a dramatic rescue from impending doom. But unlike Hollywood, there is no pre-written ending to the climate crisis. To mitigate the worst effects of climate change, and prepare vulnerable communities for the climate impacts already on their way, we need serious investment and deployment of clean energy and low-carbon infrastructure – particularly in those communities that will be hit the hardest. 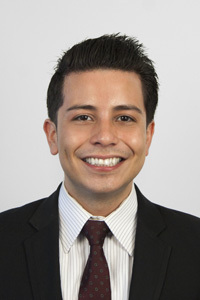 LASER provides tools that can help elected officials and advocates pinpoint the communities that are most vulnerable to climate change, identify the region’s clean energy investment potential, and then develop policies and funding mechanism to unleash it. 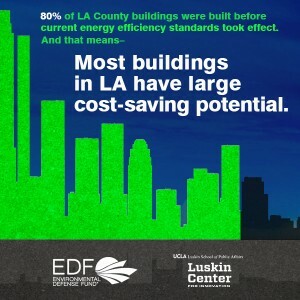 EDF is here to help in that effort, and look forward to supporting our friends and allies in Los Angeles who are working to make the clean energy potential profiled in LASER a real-life success story. In the end, LASER tells a tale of threat and opportunity in Los Angeles. Now it’s time to get to work to make sure this epic has a positive ending. 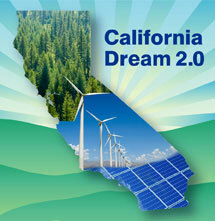 This entry was posted in Clean Energy, Climate, Engaging Latinos, Jobs. Bookmark the permalink. Both comments and trackbacks are currently closed.